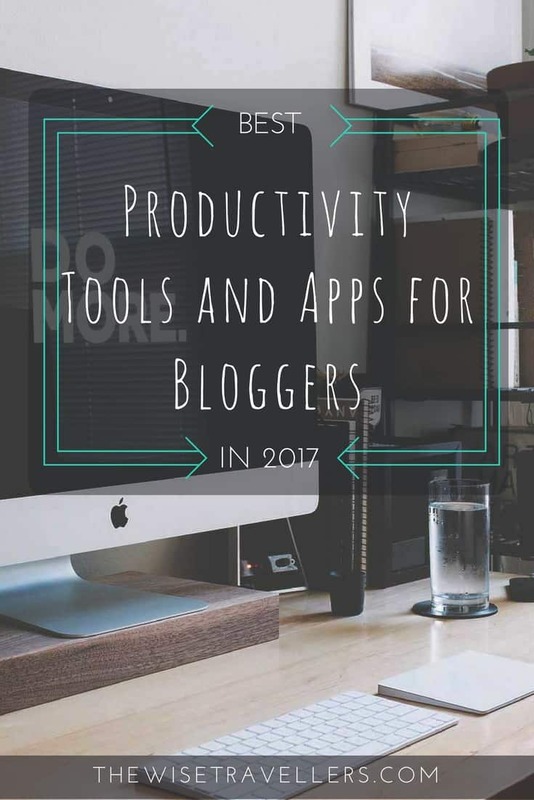 There are no shortcuts to get things done, however, using some of the best productivity tools and apps for bloggers can help you stay organized, analyze your work and define strategies for better performance. For bloggers, stay productive can be a daunting task if you don't know the basics of productivity. You could be working hard and doing a lot of things but end up not accomplishing anything useful. Stay productive means focusing on the right things and ignore others that only distract you. According to science, there are certain sounds that make us distracted and sounds that make us more focused, one of them is the sounds in a coffee shop. Noizio provides that ambient background to increase your productivity. The app also features different sounds of nature that will help you block the noises that keep on distracting you. Noizio is available on Mac, iOS, and Android. If you haven’t heard about Evernote, it’s about time you try it and you’ll be amazed at what it can do for you in terms of note-taking as well as storing important files and documents. Create memos, documents, sketches, photos and store them in the cloud. Pull them out later anywhere using your mobile device or notebook and you can work on your projects while on the go. IFTTT has pre-built applets that will do all your most common tasks but you can also customize your own in case you want to add more on the list. 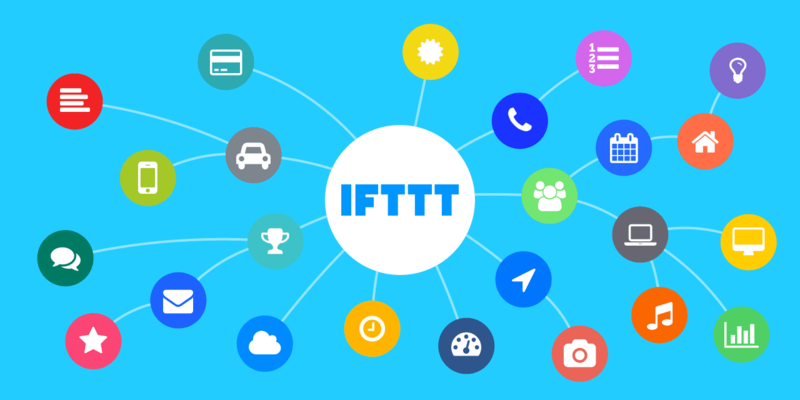 IFTTT helps you save time by automating the internet tasks that you always do, such as messaging friends, backing up your media files to your cloud account, or turning your smart light on and off. IFTTT has pre-built applets that will do all your most common tasks but you can also customize your own in case you want to add more on the list. What makes Buffer stand out from other social media automation tools is that it is simple and straight-to-the-point. It doesn’t give you a lot of choices which most of the time complicate things more than it can help you. Automate all your social media posts using Buffer through your desktop or mobile device. Any.do keeps your schedule on track with to-do lists, calendars, notes and other collaborative tools that allow you to share lists and tasks with others. There is also a voice integration feature that allows you to add to your lists through voice command. It also syncs with all your devices so you can keep track of everything through your mobile devices anywhere. Any.do is available on both Android and iOS. Spark is an award winning app for your email. It understands which of your emails are the most important and pops them on the top of the list. There are three categories your email are divided into Personal, Newsletters and Notifications. It’s available for free on Mac and iOS. Your tasks are a big part of your life. Stay motivated and organized with Todoist’s intuitive and beautiful to do list. 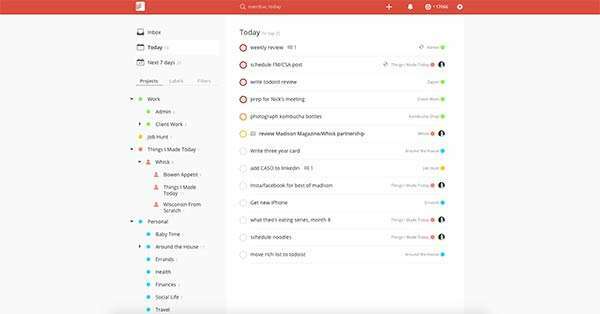 Todoist has been creating new and useful apps that increase productivity. Their latest is Smart Schedule, which utilizes artificial intelligence to help you create and schedule your tasks without difficulty. Another feature called Karma gives you a visual representation of how productive you are in accomplishing your tasks. And if there are any changes made to a document you’re collaborating with another, Todoist gives you an instant reminder right away. Newton, formerly called CloudMagic, is an app that puts all your email accounts together in one place so you can easily track and schedule your emails. It's Sender Profile feature gives you a little background about someone who has emailed you for the first time. Other notable features let you undo a sent email and read an email if you’re ready for it. It also has a read receipt and integrates with other popular services like OneNote and Salesforce. Quip is a project management app that brings together features that are similar to Evernote, Google Drive and Dropbox Paper. Create and organize all your work together using any device anywhere you are in the world. It's instant messaging feature allows easy communication among team members. In case you haven’t finished the task on time, the app turns to Overtime Mode and records how much extra time you’ve spent more on the task. Time is a productivity app that gamifies the tasks to make it more fun and achievable. It uses artificial intelligence to help you keep everything in perspective. Using it is also very easy and straight-to-the-point: just enter the task you need to focus on and set how much time you need to finish the task. You get a green background first but as time runs out, it turns to yellow, then to red. In case you haven’t finished the task on time, the app turns to Overtime Mode and records how much extra time you’ve spent more on the task. Calendar 5 is an iOS calendar app that is designed to make life easier for you. It understands human language and automatically parses them to create an event. It syncs with Google Calendar and can be used even when you’re offline. It also has a geolocation feature that allows you to use Google Maps when you create an event. Bear Notes is a note-taking app designed for iOS and Mac users. What makes Bear stand out from similar apps is the simplicity of its user interface complimented by its text formatting features. Apple recognized the app’s beauty as it awarded the Top App of the Year award to Bear. Harvest is a browser extension that gives you an honest report what things eat up your time and how much you spend on each of them. This will help you become aware what things distract you and thus, need to be cut off or watch yourself from. It can help you better strategize your time so you can utilize every minute you have every day. Another thing that makes Harvest a must-have is it syncs with other productivity tools like Asana. The food that you eat or your diet as a whole also affects your productivity, thus, it makes sense that we should put a premium on our health. Lifesum is a great companion app to make you mindful of what you eat as it counts how many calories you consume and shed every day. It’s very informative and an awesome design that simply encourages you as you progress. 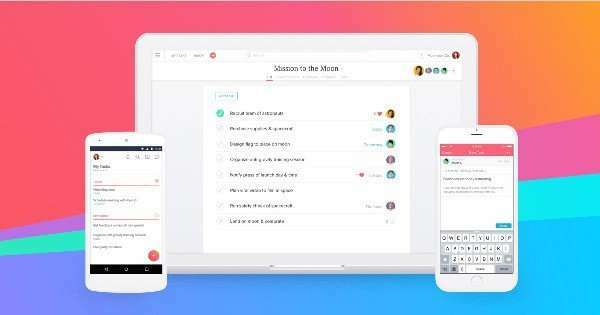 Asana is a web and mobile application which puts your team’s communication and project management in one place. Asana allows you to assign tasks to each team member, set the deadline and communicate with each other thus eliminating long and messy email threads where some important communication can get lost somewhere along the way. Asana has also an Android and iOS version so you can check everything even on the go. What makes Azha stand out is that it has a social layer to it which allows you to share your list with your friends. If you are looking for a simple no-nonsense productivity app, Azha is what you’re looking for. The app allows you to create to-do lists and schedules. What makes Azha stand out is that it has a social layer to it which allows you to share your list with your friends. You can even snap a quick photo of whatever you’re doing to go along with the list. As the name suggests, Block Site acts just like that, block the sites that will distract you when working, such as social media websites. Just think about how many times you check your Facebook or Twitter page while working and spending more on them than you should. At the end of the day, you regret doing that but time has already slipped by. All you need to do is tell what sites you don’t want to visit and for how long. Then, no matter how much you want to log into those sites during that period, you won’t be able. It even tells you how many times you tried logging in during the day. This list will not be complete without Google’s productivity powerhouse. Easily create, organize and share any type of files with Google Drive. It is also a convenient way to collaborate on projects with other people as well as a cloud storage. Plus, Drive works whatever your operating system is. Wunderlist brings all your to-do lists in one place and makes sure that you never forget any important tasks, meetings and projects. The app also allows you to share your list with anyone so that they will know when to reach you and when you are too busy. Wunderlist is available on all major operating systems. Just Press Record can turn speech to text and transcribe what you’re saying including spoken punctuation marks. Just Press Record is an app that works on all iOS devices including the Apple Smartwatch. You can record your voice just by one tap using the app icon from a notification or lock screen widget. Just Press Record can turn speech to text and transcribe what you’re saying including spoken punctuation marks. The app supports a number of languages and syncs to iCloud so you can share your recordings and transcriptions easily. Focusing on your tasks is sometimes difficult to do because there are lots of distractions not only around you but also on the Internet. Momentum is a browser extension that keeps you focused on what you’re doing until you get it done. It pops up every time you click another tab reminding you to stay on track. DockPhone is an iOS app that allows you to call others with your iPhone but using your Mac. This app is perfect when you’re busy working on something on your Mac and needs to call someone. It conveniently saves you time and keeps you focused. Pomodoro Timer uses the Pomodoro Technique to help increase your productivity. The technique allows you to focus on doing one task for 25 minutes and lets you take short breaks in-between, mostly a 5-minute break. After four pomodoros (25 minutes) take a long break which is around 15 to 20 minutes long. Francesco Cirilo, the inventor of the technique, believes that by chunking your time to 25 minutes makes you more focused and less distracted by external things. Sixty minutes on social networks every day equals 45 working days every year. You have better things to do. Want to track how often you get distracted from work and the things that take your attention from an important task? Escape 2 by FocusList helps you track those distractions so that you can develop an effective strategy how to escape these temptations the next time they beckon you from an important task. HazeOver removes all the distractions by automatically highlighting a window or an app when you start switching windows. This way all other windows fade away from the background and you can focus on just one until you finish your task. You can set the intensity of the highlight from soft dimming to intense black so you can dedicate more time to the most important task at hand. StayFocusd is a free Chrome extension that blocks sites that consume your time. Once you programmed the websites you know are affecting your productivity, it will block you from accessing them while you’re working. StayFocusd can be customized not only to block a site but also specific page contents, such as videos, games and other forms of media that might consume your time. The app brings together your contact management and calendar and prepares a detailed report on the people and companies who will be part of your upcoming event or meeting. Accompany acts like your mobile executive assistant to help you bring your meeting preparation in top form. The app brings together your contact management and calendar and prepares a detailed report on the people and companies who will be part of your upcoming event or meeting. Accompany gathers all this information and email them to you the night before the scheduled event or meeting. It also informs you the last conversation you have with those people as well as their latest social media activities as well as financial reports, company profiles and news stories about them. Producteev is a productivity app that is compatible with your desktop, Mac, iOS and Android devices. Use Producteev to create and assign to-do lists as well as collaborate on a project with others. It has push notification features so you know if there are any changes done to any task or project you are involved in. SaneBox is an email management app that works well with any email. Some of its features include SaneNews which groups all your newsletters and magazines in one place. SaneBlackHole which trains your mailing lists which emails need to go to the trash and SaneNoReplies which shows if your email has been opened by the recipient or not. Interactive Ink technology allows you to write even mathematical equations, bullet points and diagrams. Nebo is an Android, Windows and iOS note taking app rich with features that automatically formats your handwritten notes to text. Interactive Ink technology allows you to write even mathematical equations, bullet points and diagrams. You can even make your calculations on Nebo and export them to Microsoft Office documents and text files. Its search tool is designed to make it easier for you to find and sort through your files. Droptask is a productivity app that uses the principle of the Venn diagram in dividing the tasks you have. These tasks are also color-coded based on the progress you make so you can easily visualize them. It also lets you know who is working on a certain project. The app also has a built-in calendar to inform you if there are any upcoming projects or tasks you need to focus on. Droptask also syncs seamlessly with Gmail, Dropbox and Evernote. RescueTime is a productivity app that tracks your productivity in a unique way. It analyzes how many percents you spend time on a certain site and on your task. It then gives you a daily productivity score based on your activities. It’s a good way to track your productivity progress every week. Dropbox is synonymous to cloud storage since it has paved the way in making cloud storage popular. Use Dropbox to store all your media files and access them anytime and anywhere as long as you’re connected to the Internet. To date, Dropbox has integrated Paper to make project management and collaboration much easier. The highly customizable interface allows you to create different kinds of lists from tasks to pictures. If you haven’t heard of Trello, it is one of the most preferred digital bulletin boards used by teams. The highly customizable interface allows you to create different kinds of lists from tasks to pictures. Aside from placing items under categories, you can also tag them as “doing” or “done” making it easier to keep track of projects. GBoard is your mobile keyboard from Google and a good alternative to Swift Key. Just like Swift Key, it has emojis, voice and gesture typing and GIF support. But what sets GBoard apart from other mobile keyboards is that Google Search is integrated into keyboard making it much easier to search for almost anything from the nearest bar to the latest NBA score. Not even the best productivity tools can make you productive if you don’t make it your duty. Once you commit to getting things done you enter the war zone fighting distractions. Tools and apps listed in the list above can help you fight distractions but it can quickly turn against you. You don’t have to use all the best productivity tools and apps for bloggers. Pick a tool that fits your needs and incorporates into your workflow. You don’t have to chase latest tools to get your work done, it’s just another form of distraction. Less is more. If you don't have a blog already learn how to start a blog from scratch or basic knowledge about starting a blog.